I have worked for four seasons. 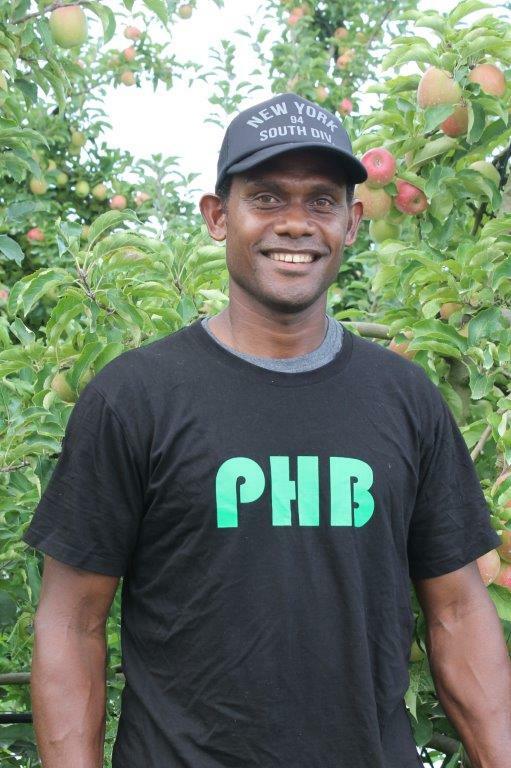 This is my fourth season with Pick Hawke’s Bay. I was at home (Malaita) and I heard about the recruitment for seasonal workers at the Children’s Park in Honiara. So, I travelled on a ship for six hours to Honiara and then to the Children’s Park. The first day they did the selection I missed out, I didn’t get selected. Lots of people turned up for the recruitment and there were lots of people there standing around. The selection had finished and the ones who were chosen started doing their medicals and police certificates. Then on the last day we heard about Anthony coming to the Solomon Islands. That time he was coming to the Children’s Park to look at the people who got selected. Suddenly he came and put his hand on my shoulder and asked me, “What is your name?” I said, “my name is Nathan Moli”. Then he asked me where I was from and I said “Malaita”. He said, “do you live in town?” and I said “no, I live in Malaita”. He asked if I worked in town and I said, “no, I stay at home with my family”. After he asked me if I had a passport. I grabbed my passport from my basket and gave it to him. Then he said he will come back to the park the next day to see me. When Anthony came back to meet me he said that I can come work for him and that I had to do my medicals and police certificate. I was very happy when he picked me from the crowd because I was thinking that I would not be selected. I was the only one that Anthony selected himself. I was told that I will be in the Longview Group. I called my family to tell them that I got selected, they were very happy. For me and my family we are very happy that I can come here to work and give my family a high standard of living. My first time on the plane was when I came to New Zealand. My eyes were open, I had never seen anything so strange. I had never seen tall buildings and it made me think of how people could create this. I saw a lot of new things here in New Zealand and it made me think that we can do all of this back at home, we can take these ideas and do it back at home. My first year I purchased tools and people were very surprised about the goods I was bringing back home. Our first day at work we didn’t know anything and we were thinking about what sort of work are were going to do and how are we going to do the work. We were interested to see who the boss was. Then we did an induction and learnt about the rules for work. We saw a demonstration and learnt how to do thinning. We found it very hard at first because we were new to it but by the second week we got used to the work. I did cabinetry work for a Chinese man in Honiara so working in Honiara helped me get used to a western country. In Honiara, some things are similar to New Zealand. I didn’t have any problems getting use to the New Zealand way of life. 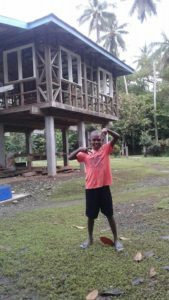 I was staying with my dad back at home (Malaita) and he got sick and then he was admitted to hospital. His health got worse and there was nothing the doctors could do for him so we brought him back home. I sat with my dad and he said, “my son, I don’t have much long to live now”. He pointed at this house and said, “you see that?” and I said, “that is a house, dad”, then he said, “if you are a man, you are going to build another one, better than that one”. He told me that I will build. This talk with my dad, it’s pain in my heart. After that he died. My dad gave me something that I will never forget. I couldn’t sleep or eat for days, I kept thinking about how can I do this, how am I going to provide for my family and build a better house. Then I started to make a plan, I had to survive my family and my mum. So I had to do the copra where I buy coconuts, dry it out and then sell it. I did this for two years. Copra did not make good money so I had to a make a decision to go to Honiara to find more money. I found cabinetry work for a Chinese man. I worked for him for seven months before I went to the Children’s Park for recruitment where I got selected. I built my house on my own. I didn’t use builders or books or the internet. I got good advice from a Kiwi man who explained to me how to treat wood to prevent it from rotting and getting disease. I took his advice and applied it to the wood to build my house. People back at home may work for 20 years to build a house but coming to New Zealand to work allowed me to do it sooner. I am now two seasons into the build using my own tools. I plan this season to finish my house. When I return home, all I have to do is finish the walls. My dads last words gave me the determination and commitment to do this and being selected for RSE work gave me the opportunity to make it happen. I never gave up and soon my family will get to live in the house that I built. 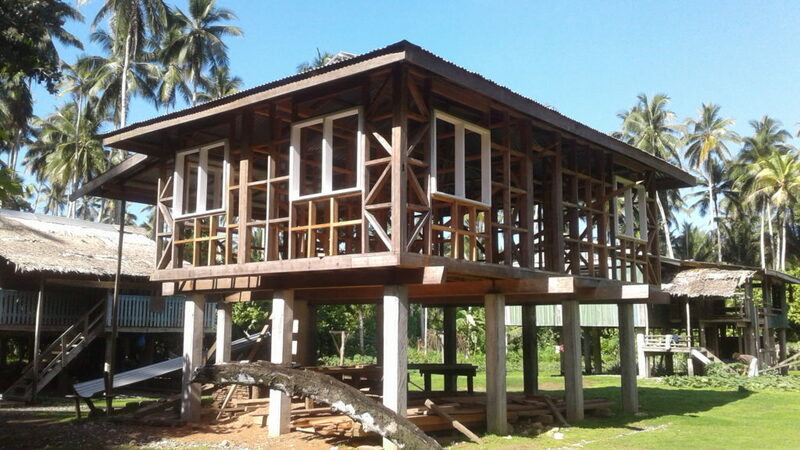 My next plan next plan is to build a house in town (Honiara) and put it up for rent and then return home (Malaita). Maybe this plan will take two years. When I come to New Zealand to work, it is a chance for me to help my family. It helps us to improve our standard of living for our family. The best thing is that we enjoy the scheme. We come here to work and save money to take back home. It is good to save money and to budget so we can do things like build a house. It’s a good idea. When I am here in New Zealand, I think about what I can do to take back home. I want to thank Anthony and his family. My family and I thank you for the privilege that we have. It has changed my standard of living and it has changed my family’s standard of living.